The news that Everton could be under new ownership within two weeks has left me full of nervous excitement. A potential takeover brings endless opportunities, in particular funds to develop a promising and talented first team squad and crucially, for the long term future of the football club, an investment in a new stadium or a rebuild of Goodison Park. Conversely, a change of ownership, for the first time in seventeen years, is a concern for most supporters, especially while the potential owners remain quiet during confidential negotiations. Everton and the current board have also remained silent and have so far refused to comment on the speculation. Manager Roberto Martinez did however speak about the issue during a recent radio interview, urging fans to trust Bill Kenwright to make the right decision when selecting the new custodians of the club. I think the motive behind the potential takeover is very clear. Everton are without doubt the biggest and most successful club in England who are yet to be taken over by the new bread of mega rich owners. The Blues have followed a more traditional path, with the die-hard local supporter, who happens to have a bit of money in the bank running the football club. In the modern day Premier League that has left Everton struggling to complete with the wealth of many of their peers. When you then consider that the English top flight have secured a record breaking TV rights deal which will generate a minimum of £100m a year, it is obvious that the Blues have huge potential for growth and subsequently the potential to generate a healthy return on any investors hard earned cash. The biggest concern for many is the lack of information about the two men at the forefront of negotiations. John Jay Moores and Charles Noell are both private individuals and do not seek the limelight, hence the lack of information on the internet. The two have a strong investment background and in Moores have a sporting pedigree with the San Diego Padres. 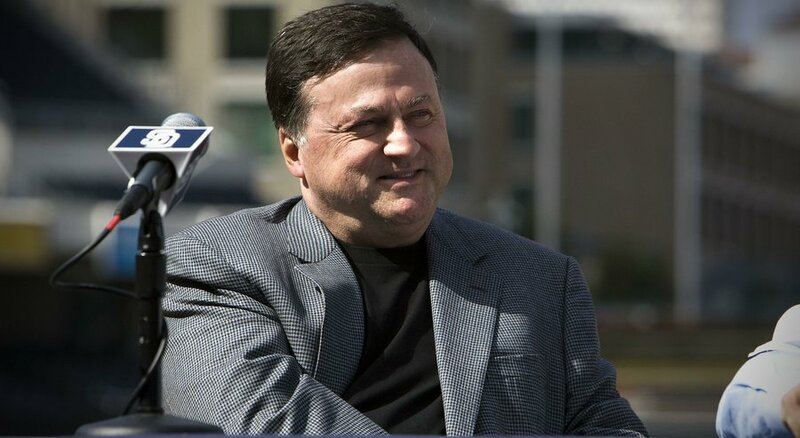 His time in charge of the Padres appears mixed, with the building of a new stadium and relative success (a place in the World Series) was later soured by his withdrawal and huge return (£500m) on his initial investment (£55m). The price quoted for the purchase of Everton is £200m, we presume this will be for the transfer of shares owned by Kenwright, Woods and Earl, approximately 70% of the total shares in Everton Football Club. What we do not know is how much the pair and their consortium (?) have to invest in the future of the club. Does the £200m clear any remaining debt, or would this remain for the new owners to payoff after completing their takeover? The net-worth of the individuals involved remains unknown, with Moores valued at between £500m and £750m depending on which source you read and Noell even more of a mystery. Despite the uncertainty we remain hopeful that this is the start of an exciting new chapter in the history of the club. 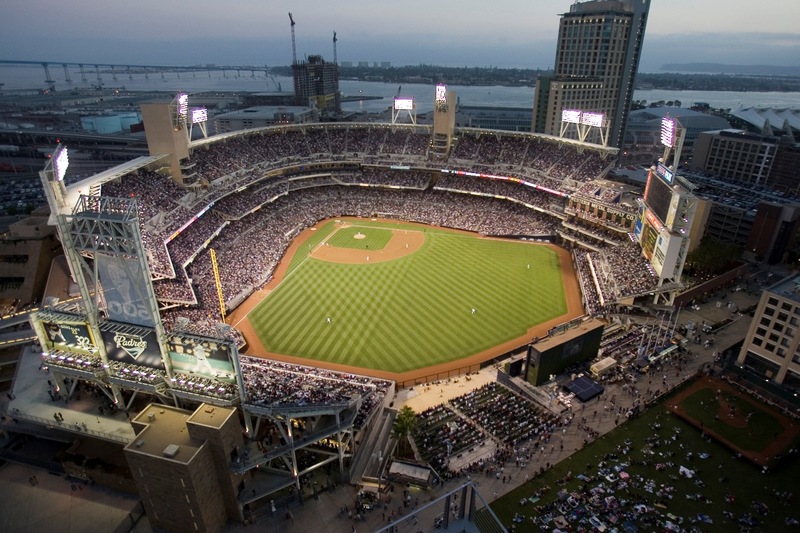 Photographs of the impressive baseball stadium in San Diego are a clear depiction of the impact they had in transforming the Padres (although we would like to stay well clear of any naming rights deals with Pet food manufactures!!!). A new stadium for Everton would herald a bright new era and catapult the Blues back among the biggest clubs in England. A modern, high class facility would be fantastic for supporters, would boost match day revenues and would help build a long term sustainable football club. The initial impact of a takeover however is likely to be seen on the football pitch with investment in Roberto Martinez’ playing squad. We might even see Everton sign players prior to the commencement of pre-season training!!! New high class additions will help retain the incredibly talented young players that are the core of this current Everton team. John Stones, Ross Barkley, Gerard Deulofeu and Romelu Lukaku will all want to see investment before committing their long term future to the club, but as we have seen with Leicester City and Tottenham the Premier League’s glass ceiling has been shattered and two or three new players could make all the difference in propelling Everton into title contention next season. “…whatever is going to happen is going to happen for the good of the football club.